There’s a variety of Bluetooth headsets to choose from in the market, and you can opt for one based on your preferences for great sound, comfort, ease of use, and price-effectiveness. But if you want a good blend of all of those things above, Hong Kong-based Sound One has a new attractive solution for you. The newly announced Sound One SP-40 is a versatile Bluetooth headset designed for comfortable and prolonged listening. The rounded ear bands fit comfortably around the ear which prevents them from falling off, even during intense activity. It sports a waterproof design including a “nano-coating” which is typically meant to prevent the damage to the headset due to sweat. The SP-40 has a good battery life and the company claims it to last for over 5 hours of continuous music playback while you can fetch 7-8 hours of talk time. The headset packs in a 100mAh battery which takes around two hours to get restocked. The lightweight and snug design allows you to make the most out of the headset for a long duration of music playback or calling. This also makes them immensely comfortable while engaging in outdoor activities like hiking, cycling, and even body-bending activities like yoga – although, despite the waterproofing, there is no mention of swimming. The headset runs on Bluetooth 4.1 which is supported by the majority of devices including smartphones, tablets, and laptops. Sound One boasts of an advanced noise-cancellation technique called the “Noise Suppression” technology which allows you to listen to your favorite music and attend calls without compromising on quality. The company also claims that the silicone earbuds are adept at virtually blocking all of the noise coming from the outside. 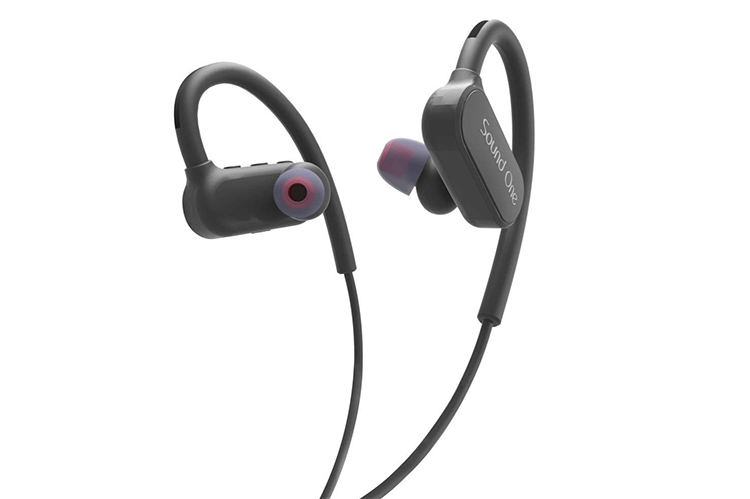 The sports-friendly Sound One SP-40 Bluetooth headset will be sold exclusively via Amazon for a price of Rs. 2,190 but you can grab them for as low as Rs. 1,590 as part of Amazon’s Prime Day sale which starts today. With the headset, you also get a one-year warranty which makes it an attractive deal for anyone looking for a wireless Bluetooth headset under a limited budget. Meanwhile, you can also check out Sound One X50 which is available at Rs. 1,490 (40% discount on MRP) on Amazon India.